Do you think that 2016 is the right time for you to finally get rid of debt? Some people believe that debt elimination is not possible. After all, there are purchases that we cannot acquire if we do not borrow money to buy them. For instance, it is harder to buy a house without applying for a mortgage to help you pay for it. You would have to spend ages to save enough money to buy the house in cash. It is just not practical nor is it economical to keep on paying rent while you are saving up for your new house. It is better to borrow a low-interest mortgage loan so you can stop paying rent and live in your own house. This will just be like paying rent but this time, you are sending your payments to your lender and not a landlord. While it is a fact that we cannot completely live without debt, that does not mean we cannot be smart about it. We need to always be smart about the money that we will borrow because you are paying interest on it. If you make the wrong decisions, you will end up wasting money paying off your interest. When you have accumulated debt already, there are also things that you can do to help you get rid of debt without paying a lot on your interest. You just need to have the resolve and determination to pay them off completely because debt relief is never easy. You have to constantly battle with yourself and resist the temptation to spend as you did before. But how determined is America when it comes to paying off their debt? According to the study published by Time.com, more than half of Americans have resolutions related to their finances. The data from GOBankingRates revealed that the priority of their respondents is to live life to the fullest. But a lot of them still intend to improve their finances. That includes paying off their credit obligations. Paying off your debts is not something that you can take lightly. Sure it can be treated like a bill but sometimes, you get to sacrifice your payments when your finances are tight. The pressure to pay it off goes further down your priorities when an emergency takes place. While most times there is no helping it, you need to find a way to make debt payments easier so you do not have to compromise them. Failing to pay your debts on time can cost you because of the interest rate. Not only that, you may be charged with late penalties and you do not want that on top of your balance. It is important for you to work on securing your debt payments so the chances of you missing a contribution will be less likely to happen. If you need to make changes in your finances, the coming new year is a great time to start. According to a survey published on Fidelity.com, a lot of consumers feel like their financial obligations (debt, expenses and retirement planning) seem daunting. However, they also feel like the this year will bring better financial conditions. To be specific, 7 out of 10 respondents are optimistic about their financial shape this year. If you think that your finances will be better in 2016, then this is the right time for you to make aggressive plans to get rid of debt once and for all. It doesn’t matter if you plan to use debt in the future to buy yourself a house or something else that will improve your financial position. What is important is for you to get your debt under control so it will not be a threat to you and your finances. Here are 5 ways that you can work on securing your debt relief efforts for this year. Start by knowing your options. You have to explore the debt relief programs that will provide you with a repayment plan that your finances can afford. Some people have a secure job that will allow them to pay off their debts but the amount is too high that it makes their budget feel too restricted. If you want to lower your monthly payments, you have a couple of options like debt consolidation or even debt settlement. You need to know the different ways you can get rid of debt so you can choose the program that will make your monthly contributions more manageable and even make the road to debt freedom shorter. This does not refer to the debt relief repayment plan that you will take. This is more of the other plans that you will use to manage your finances while you are working hard to get rid of debt. There are various financial plans that you can use in money management. For instance, you can use a spending plan so you will not go beyond your budget. Of course, there is also that budget plan that is actually like the mother of all the other plans that you can use. Identify the financial plans that you will use so you can organize your money so you remain in control of your financial situation. Some people are ashamed to admit that they are in debt. While it may be embarrassing to admit that you made a mistake in your finances and it led you to be in debt, you have to swallow your pride and tell someone. There is a good reason for this. First of all, telling someone will unload the burden. It will not seem like an impossible task if you know that at least one person is supporting you. Another reason to tell someone about your plans to get rid of debt is to motivate you to succeed. There is nothing to be ashamed of when it comes to debt if you plan on doing something about it. Telling someone you trust will make you work harder because you do not want them to know that you failed in your attempts to get out of debt. If moral support is not enough, then professional help may be the answer to your debt struggles. Sometimes, getting an expert advice can help make your road to debt freedom easier. They will tell you the options that you have and how you can best approach the task of paying down your debt. Just make sure that you will get help from trustworthy debt relief companies with a track record of successfully getting their clients out of debt. This may seem out of place but being determined to finish something requires you to have faith in your abilities. You need to believe that you can overcome the trials and the temptations that you will encounter as you try to get out of debt. According to Dave Ramsey, a known financial adviser, having hope is very important if you want to get rid of debt. It is what will get you through the difficult moments of your debt relief program. Here is a video of Dave Ramsey discussing the 9 steps that will help you eliminate debt and how hope plays a big role in your journey. The Council on Foreign Relations, through their site, CFR.org, revealed their insights about the global economy this year. They said that the economy on a global scale could be doing much worse. In the United States, it is believed that the US Federal Reserve is on the verge of increasing the rates – as expected in the natural rate-hiking cycle. If you think that this rate hike is none of your concern – think again. Your debt, specifically your credit card debt may be affected by any interest rate increase that will happen in the near future. If this happens, you need to think about getting rid of your high-interest debts so you will not waste more money trying to pay off your credit obligations. Here are some tips that will allow you to secure your debt relief attempts for this year. Commit to a budget. 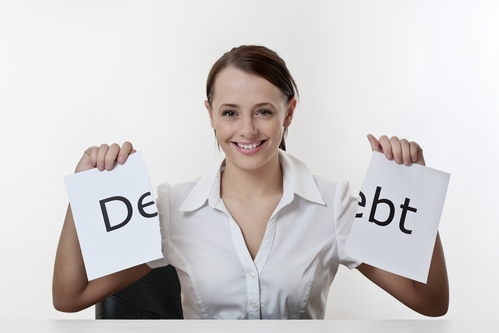 Before you start any debt relief program, you need to start by creating a budget. It will help you choose the right method that will get rid of debt easier and faster. Once you have chosen a debt solution, make sure that you will stick to the budget that is associated with it. That will help ensure that your debt payments will not be compromised. Practice basic financial skills. Apart from budgeting, you also have to think about the other financial skills that will put your personal finances in order as you work on your credit obligations. This includes increasing your savings and making smart choices about your spending. Minimize high-interest rate debt. If you are trying to get rid of debt, you need to stop acquiring it first. Do not use your credit cards because this is notorious for their high-interest rates. According to a survey done by National Debt Relief, more than half of their respondents admitted to carrying a monthly balance over to the next billing cycle. This will make you pay finance charges that could bloat your balance. Try to avoid this by putting your cards aside – at least, until you teach yourself the right way to use it so you will not add to your debt payments. Make sure you have an emergency fund. Some people think that the best benefit of an emergency fund is having the finances to pay off an unexpected expense. While this is true, you should not forget that it can also help you avoid incurring more debt. If you do not have this fund and something unexpected happens, you will be forced to borrow money so you can get past that event. This can be avoided if you save up for an emergency in the first place.